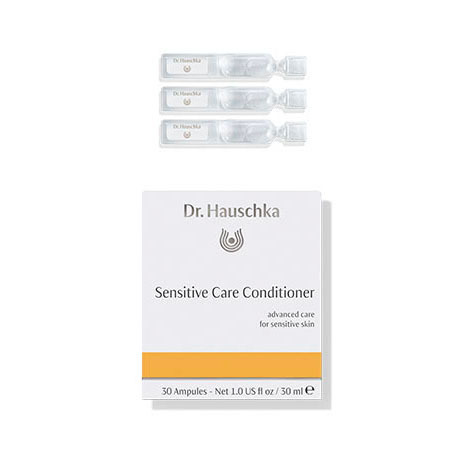 Sensitive Care Conditioner is specially formulated to care for skin that appears sensitive, red or irritated. This rhythmic conditioner supports the skin’s natural processes of renewal to quickly soothe and cool, reducing the appearance of redness and guiding skin to a calm, balanced state. Formulation: Rhythmitised dilutions of pearl, artemesia and malachite have a cooling effect on skin, reducing the appearance of redness, couperose, rosacea and enlarged capillaries. Botanical extracts of borage, chamomile, witch hazel and rose hip calm and cool. Skin Condition: For sensitive, irritated skin. This is a decent product, helps my red irritated skin a lot. I use it at night. I was having some severe irritations/allergies on my face, a friend suggested I try this. I will admit that I had a tough time transitioning from heavy evening products was tough at first. However, sticking it out, I have found a great reduction in my inflamed skin and my face feels more balanced. This product is so magical. It is light and truly quinces my thirsty skin. It helps balance my sensitive skin and redness. I have reactive skin that flares up easily. I use sensitive care conditioner every Spring to calm and strengthen my skin. It works wonders for me. I definitely recommend it. The sensitive treatment is fine but I did not see a strong improvement in my conditions. I have normal skin type with a bit of redness around my chin. So, it helped a bit, but I was hoping for more. I have used this product for 10 years, and never have I purchased a product where I see instant results, except with this. I have sensitive skin and aging skin- the Sensitive Care Conditioner calms irritated, sun burned, tired and just dull skin. I know this sounds over the top, but it's my secret miracle. It's pricy, but I wouldn't buy it if I didn't see the results. Skin cells are renewed every 28 days. Mirroring this same regenerative rhythm, Sensitive Care Conditioner should be used for 28 days in place of a toner. Apply nightly, after evening cleansing. Twist off tab at top of 1-2 ampules and empty contents into cupped hand. Press gently and evenly to skin until all conditioner is absorbed – include eyes, lips, earlobes, neck and décolleté. Warning: Preservative-free. Use entire contents and discard ampule. Do not save open ampules for later use. Water (Aqua), Fragrance (Parfum)*, Borago Officinalis Extract¹, Chamomilla Recutita (Matricaria) Extract¹, Rosa Canina Fruit Extract¹, Artemisia Abrotanum Flower/Leaf/Stem Extract¹, Hamamelis Virginiana (Witch Hazel) Leaf Extract¹, Veronica Officinalis Flower/Leaf/Stem Extract¹, Quercus Robur Bark Extract¹, Pearl Powder¹, Malachite¹, Sodium Chloride, Alcohol, Lactose. Can be used to soothe and cool skin after over-exposure to the sun.